Victorian jockey Linda Meech will return to Sydney to again ride Star Fall at Randwick. Talented three-year-old Star Fall will be on trial for better-class sprint races when he bids to continue his summer winning streak at Randwick. 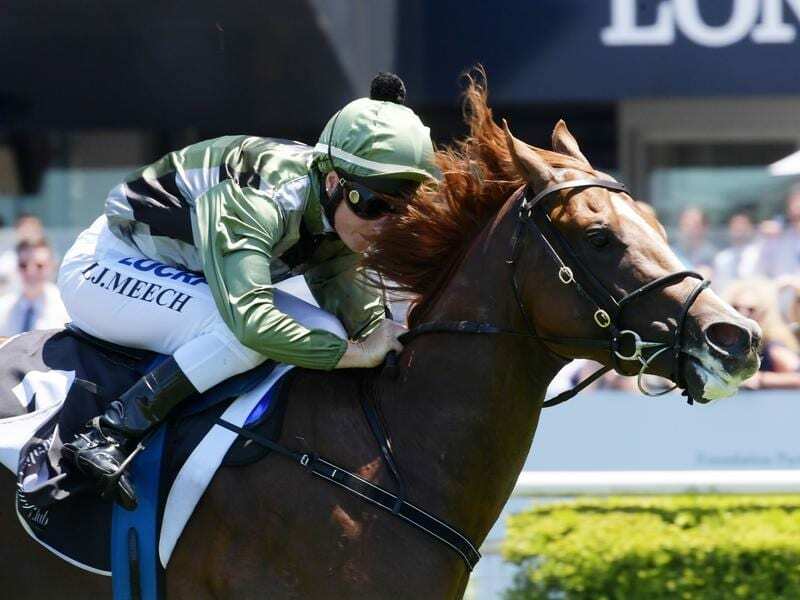 The Ciaron Maher and David Eustace-trained colt has won three- consecutive benchmark races so far this preparation and faces his next test in Saturday’s 2019 Membership Handicap (1100m) against his own age. Another victory would prompt connections to raise the bar. “We just don’t know really know where the ceiling is for him,” Eustace said. “If he were to win this then we’ve got to put him into something quite nice. But we’ll just get through Saturday first. “The test probably will be how he races and whether he looks like he can get 1200 metres. Star Fall began his campaign with a win in a 1000m-benchmark 70 race for three-year-olds at Pakenham on December 8 before winning in benchmark 70 grade over 1100m at Caulfield on December 26. The colt was sent to Sydney and impressed again, winning another benchmark race over 1000m by 2-1/4-lengths on January 9. “He’s always had the physique of a good horse,” Eustace said. “He just needed to mature a little bit and he’s done that. Star Fall was at $2.60 on race eve with the Hawkes Racing-trained filly Sylvia’s Mother, who has also won her past three starts, the $1.70 favourite in the field of seven. “He’s drawn well in barrier four. It’s a small field and he’s got Linda Meech on board. He ticks plenty of boxes,” Eustace said. Star Fall has won four of his six starts and Meech has ridden him to all his wins.